Looking for a compact handheld torch that throws a killer beam, look no further. The Night Sabre Alpha from Ludicrous lumens is a handheld torch with a durable and robust aluminium metal construction and 67mm aspheric lens that can be also gun mounted or used as a standard torch with the supplied adaptor tube, the night sabre runs on two 18650 batteries that are housed in the handle and give it a lengthy run time of around 3-5hrs, the focus from flood to spot is very slick and smooth to adjust with one hand, wide flood for short to medium ranges, and a tight beam for long range illumination, including low,medium and high power settings adjusted with the torch button. 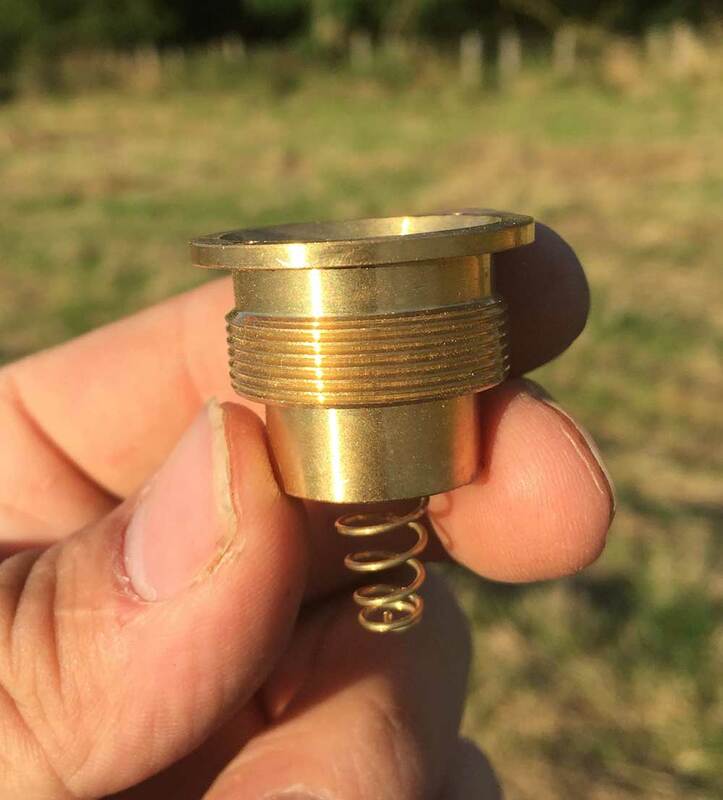 A nice feature of the torch is the ability to quickly change the LED insert with no tools and a simple left hand thread to loosen or tighten the brass pill, various colours are avilable from, green, red, cool white, warm white, amber and AS IR for night vision, all are designed from brass with a thick LED mounting base for better thermal transfer and improved performance during long periods of use. 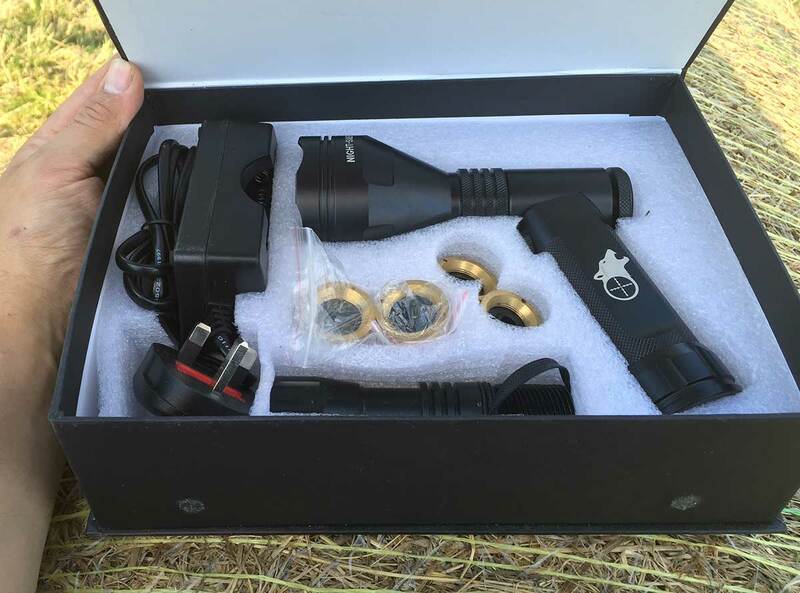 The torch can be supplied in kit form which includes additional LED’s and batteries/charger or just the night sabre unit itself. I’ve used various torches over the years from nightmaster 800, X-Searcher, the full T-Range, Wolf Eyes Seal, etc and I must admit the Night Sabre design is better than all of them for scanning and feels comfortable in the hand like a traditional lamp but much smaller and neater without any trailing wires, it also makes it very easy to control and point it were you need it much easier. The ability to quickly rifle mount if required is a great touch with the additional torch tube. 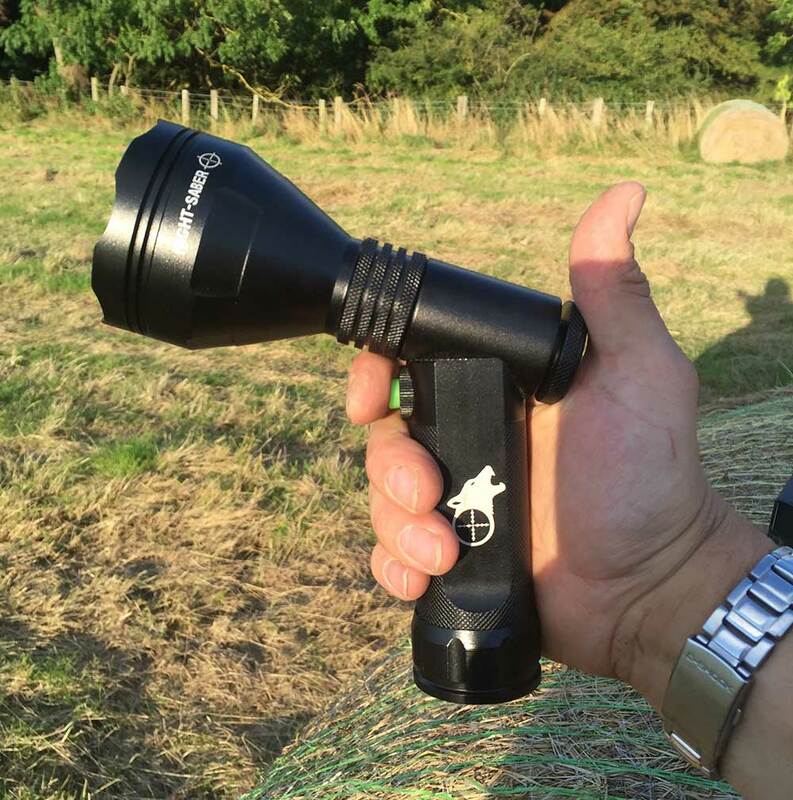 The torch itself has minimum light spill and throws the beam a long way on full spot, and suits anything from rabbiting to foxing with rifle easily, its also very good for running dogs and offers a nice wider beam when adjusted. The torch is available with the below kit options. 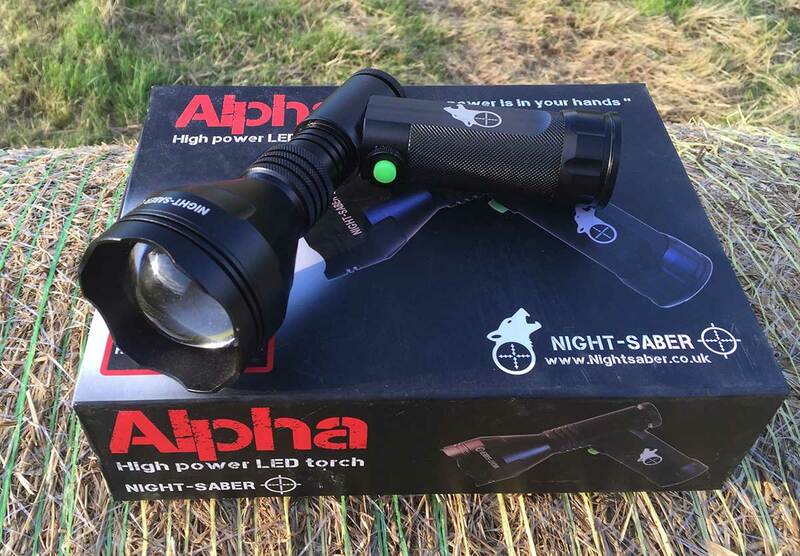 The Night Sabre Alpha torch is a very versatile unit, small, compact, robust, fits in the hand well, with the ability to swap LED colours easily or fit the rifle conversion tube for scope mounting. I have tried an array of LED torches over the years and for the money, with the options available and traditional lamp style ergonomics the Alpha is one of the best available at this current time.